The issue wafted to the forefront earlier this year when parliament members in Jamaica, likely eyeing developments in the United States, their largest tourist source market, placed marijuana decriminalization on the agenda for discussion. Although it remains illegal in Jamaica, marijuana is easily available in areas frequented by vacationers. An underground tourist-driven marijuana economy already operates across the island. Similar situations exist in other Caribbean destinations. Yet despite its international image as a laid-back place, Jamaica is a conservative nation where many do not appreciate the country’s ganja-loving reputation. And while the CTO did launch a marijuana tourism discussion as part of the conference’s panel on medical tourism, officials are not making recommendations just yet. “There are states of the U. S., our biggest market, that are marijuana tourism states,” said Riley. “They are quantifying with great pride the amount of income they get from people coming to their states because of the situation. CTO officials did offer a medically focused review of marijuana use from Dr. C. James Hospedales of the Caribbean Public Health Agency. In a video address to conference delegates, Hospedales advised destinations to “Proceed with an abundance of caution, given the significant adverse effects of cannabis smoking on health and social and occupational functioning. “Public health and scientific studies clearly demonstrate significant adverse effects of cannabis smoking on physical and mental health,” he said. “As decriminalization is considered, I must draw attention to some of the significant neurologic, cognitive, behavioral, and physical consequences of short- and long-term marijuana use. 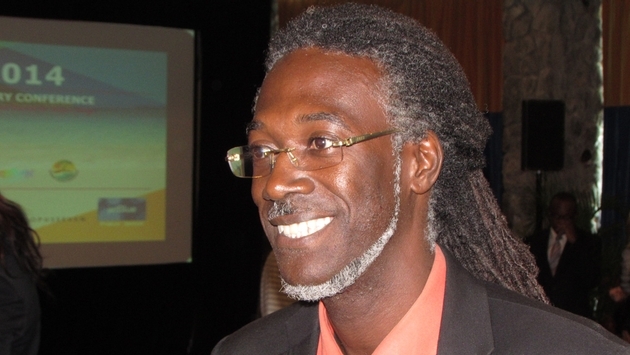 However at least one Caribbean lawmaker rejected Hospedales’ view. “It makes common sense in dollars and sense,” said Terrence Nelson, a member of the U.S. Virgin Islands’ legislature. “[CTO] should adopt it and adapt cannabis as a Caribbean commodity. Because most people come to the Caribbean and they anticipate smoking weed,” Nelson said. Nelson said marijuana tourism proceeds could go to a “superfund” to finance infrastructure improvements including “utilities like electric, water, Internet and hospitals and healthcare facilities. You can help each island nation to develop. That will help us to heal our economies,” he said. Marijuana marketing could also be a key element of a travel marketing strategy built around health and well-being, said Nelson. “God has granted us a lot of natural amenities to be a place for wellness,” he said. A handful of other Caribbean leaders have called for discussion on marijuana decriminalization, including Kamla Persad-Bissessar, prime minister of Trinidad & Tobago, and Ralph Gonsalves, prime minister of St. Vincent and the Grenadines. Last year Michael Dunkley, Bermuda’s public safety minister, promised a “mature, public discussion on decriminalization” although that has yet to occur.